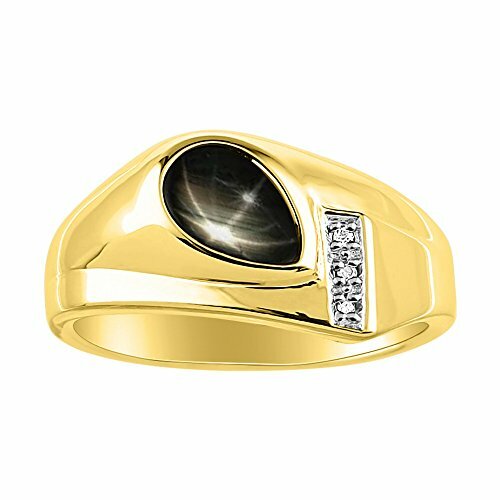 This Classic Pear Shape Natural Black Star and Genuine Diamond Mens Ring set in 14K Yellow Gold Plating over Silver is sure to be treasured for many years to come. The natural properties and composition of gemstones define the unique beauty of each piece. The image may show slight differences to the actual stone in color and texture. Color Stones may have been treated. The total Color Stone Weight is approximate. Variances may be up to 10%.